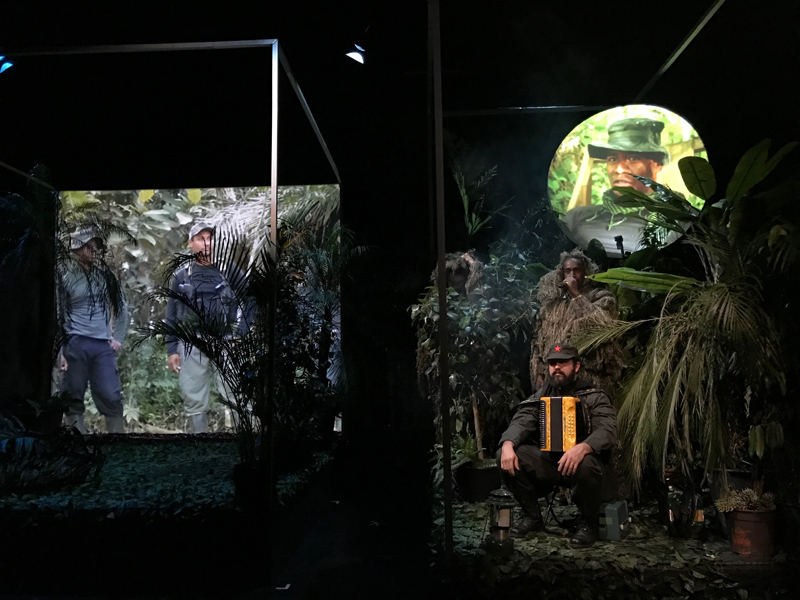 In 2016, after fifty-two years of armed conflict, a peace agreement is signed between the Colombian Government and the Revolutionary Armed Forces of Colombia (FARC-EP), the oldest guerrilla in the American continent. 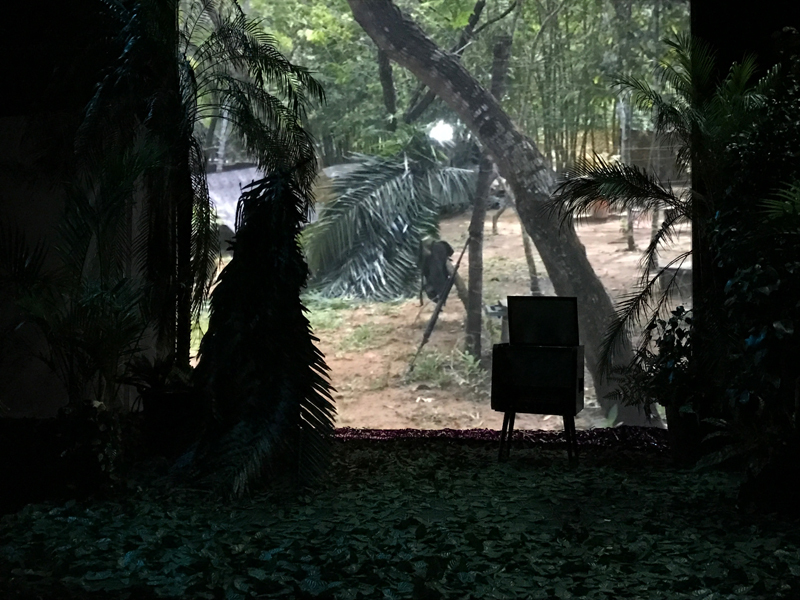 The former camps of this armed group suddenly become open to the presence of journalists from all over the world - in the same way that villages of newly discovered tribes were visited in the past -, turned into exotic ethnographic museums where icons and practices of the revolution are on show. 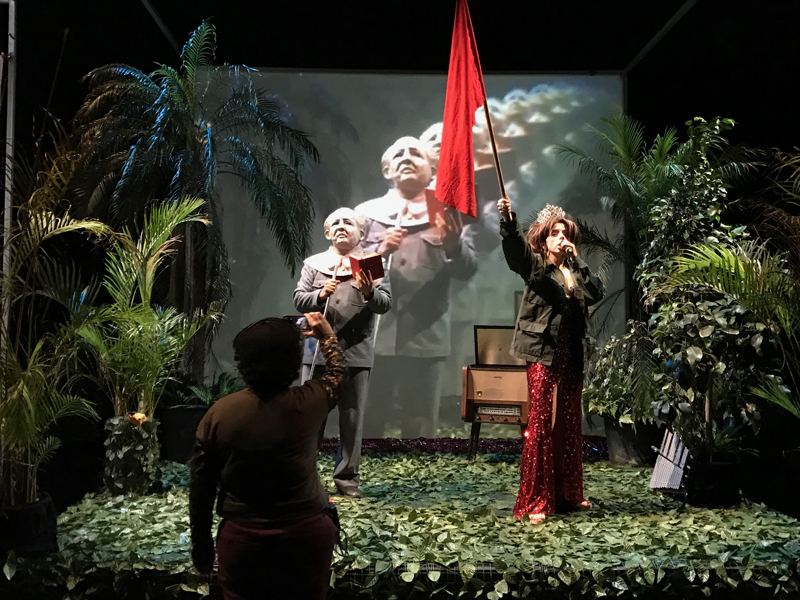 After half a century of war, the arrival of peace represents the end of a utopia, a farewell to a project of revolution that never took place in Colombia. 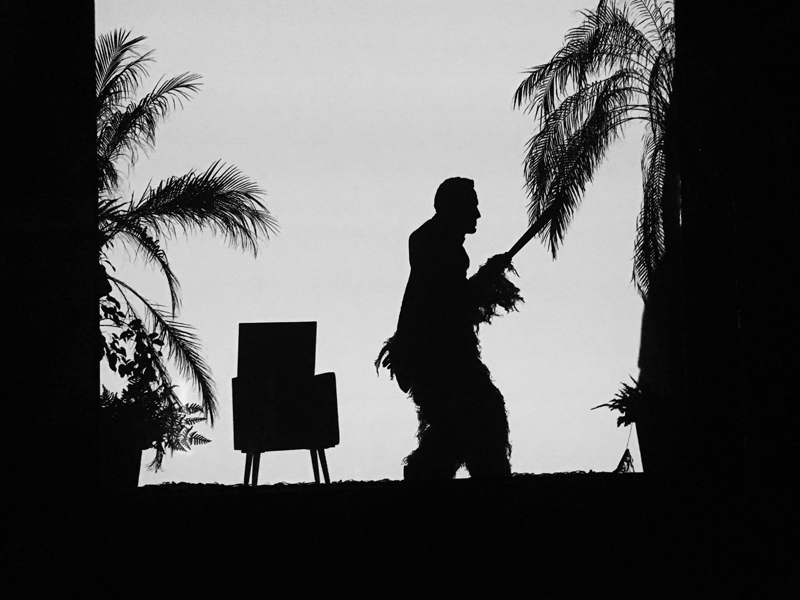 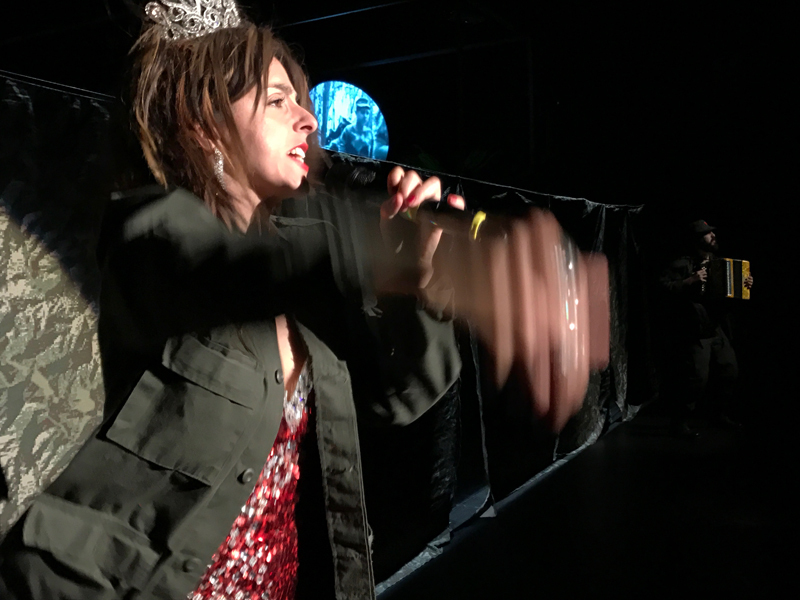 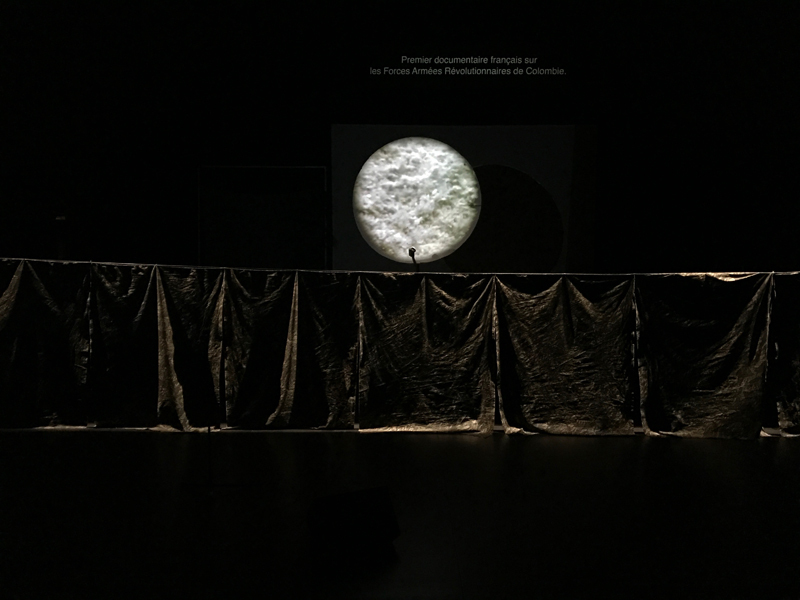 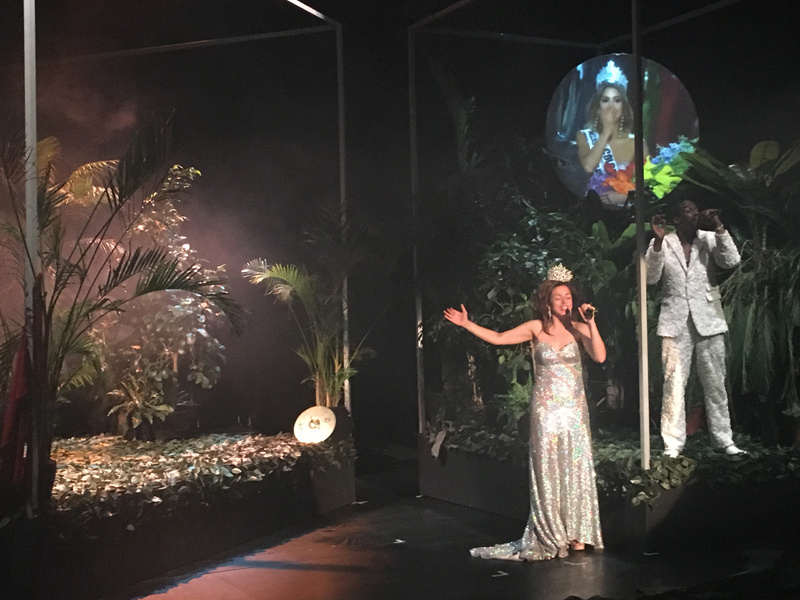 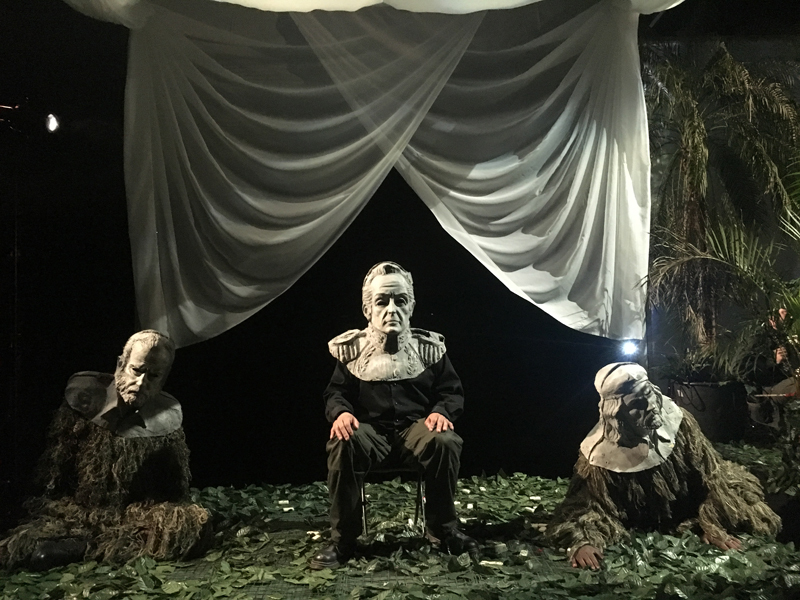 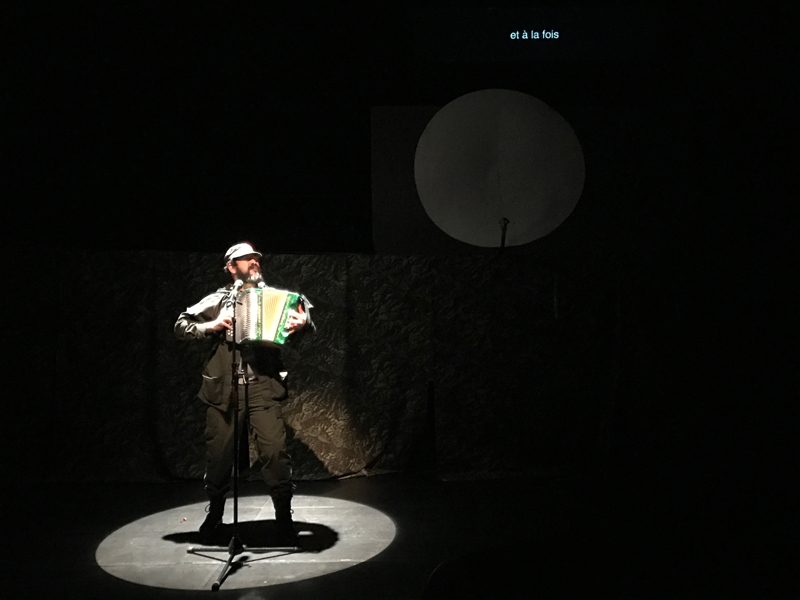 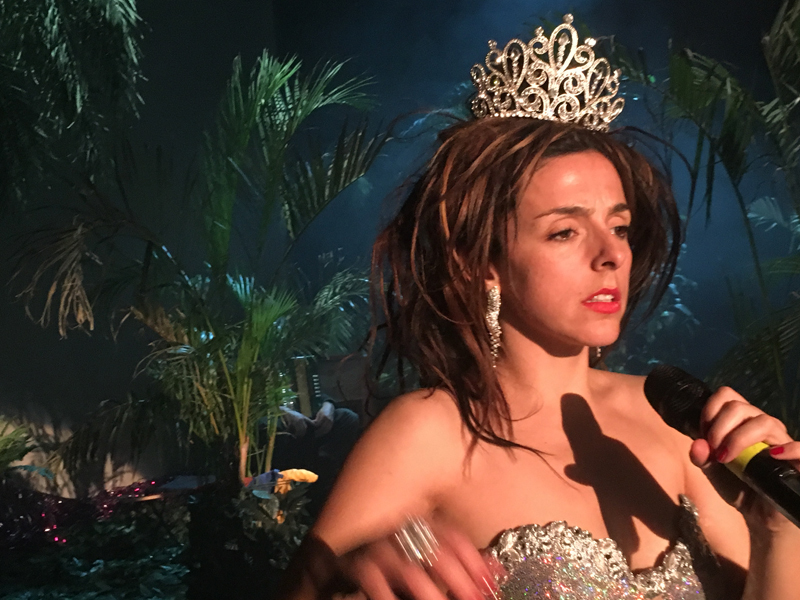 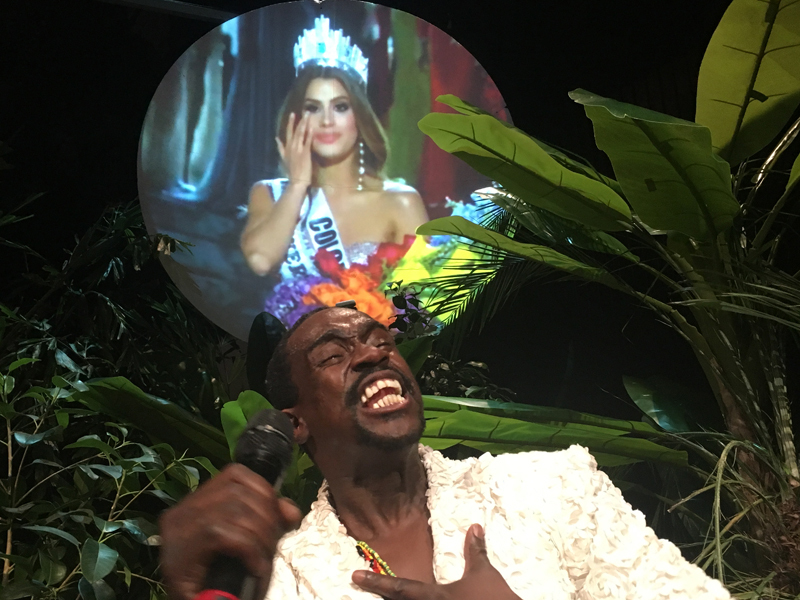 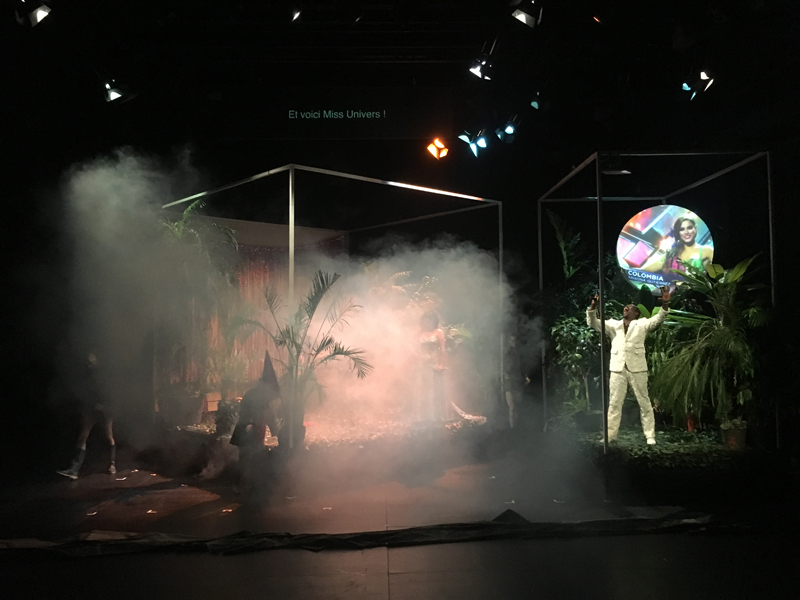 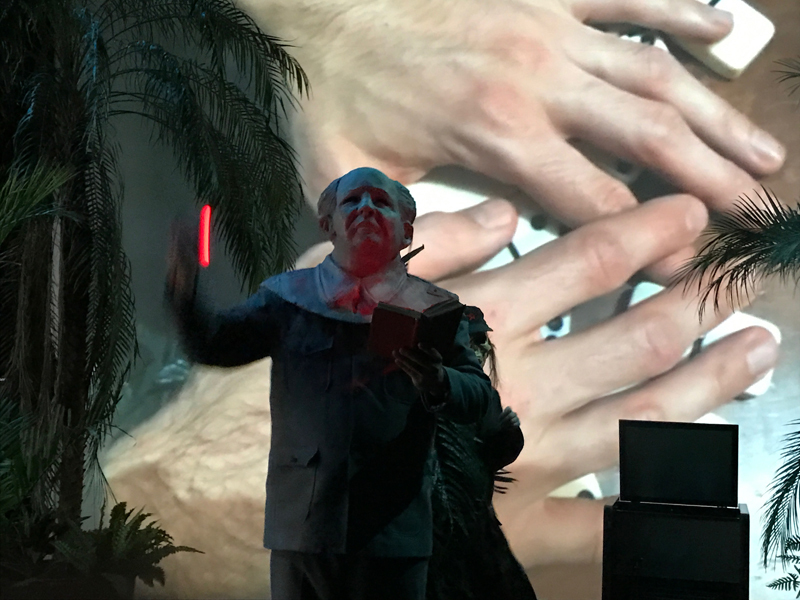 Initially inspired by the thesis of the great revolutionary prophets, and later by the heroes of more recent revolutions, La Despedida (The Leaving Party) constitutes the last piece in Mapa Teatro’s Anatomy of Violence in Colombia project, initiated in 2010 and culminating in 2017, after the signing of the peace agreement in Colombia. 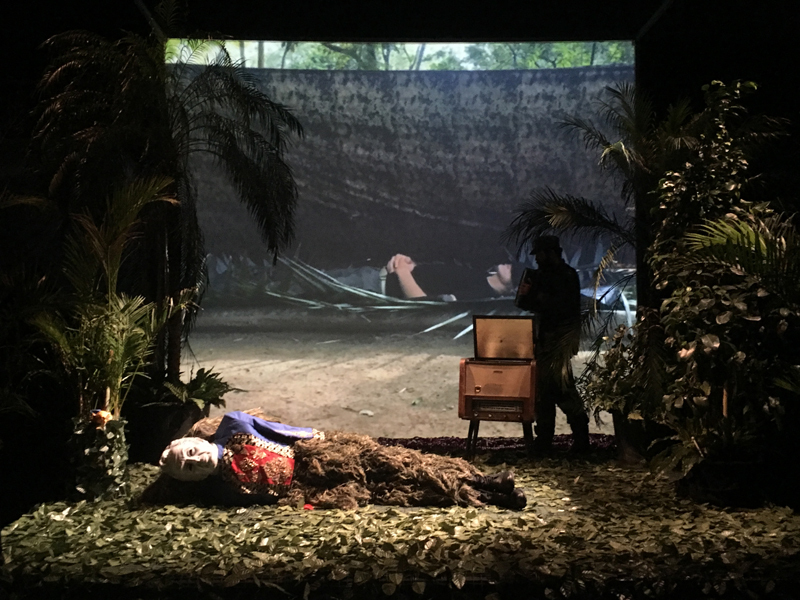 This piece, like the previous ones, is part of an artistic dispositif that stages, from three singular perspectives, the permanent tension that has existed between celebration and violence in Colombia. 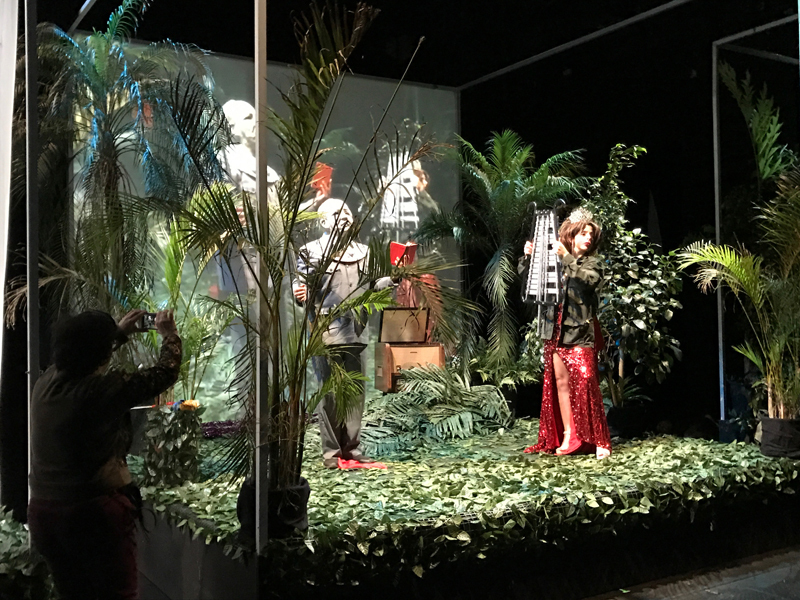 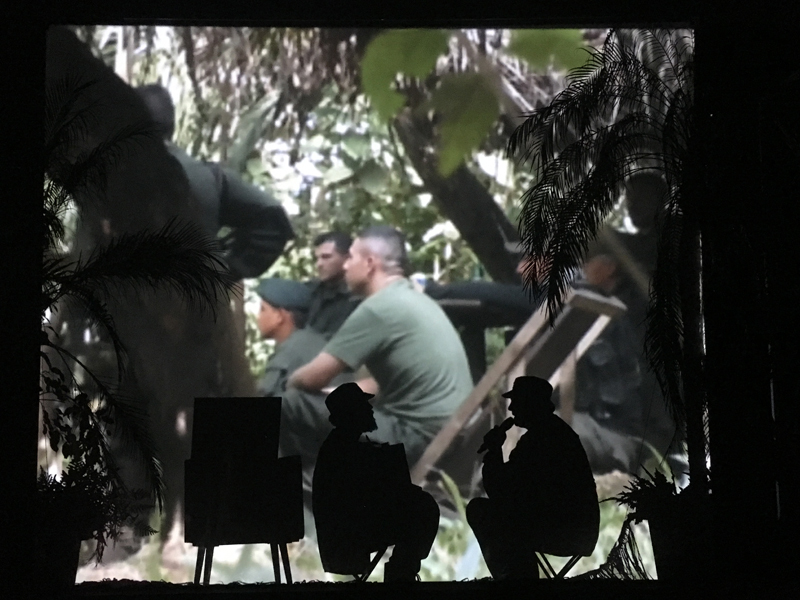 This succession of celebrations, in turn, creates an allegory of the devices of war and death used by the three main actors of violence in Colombia - the guerrilla, the paramilitary and drug trafficking - from the second half of the twentieth century to the present day. 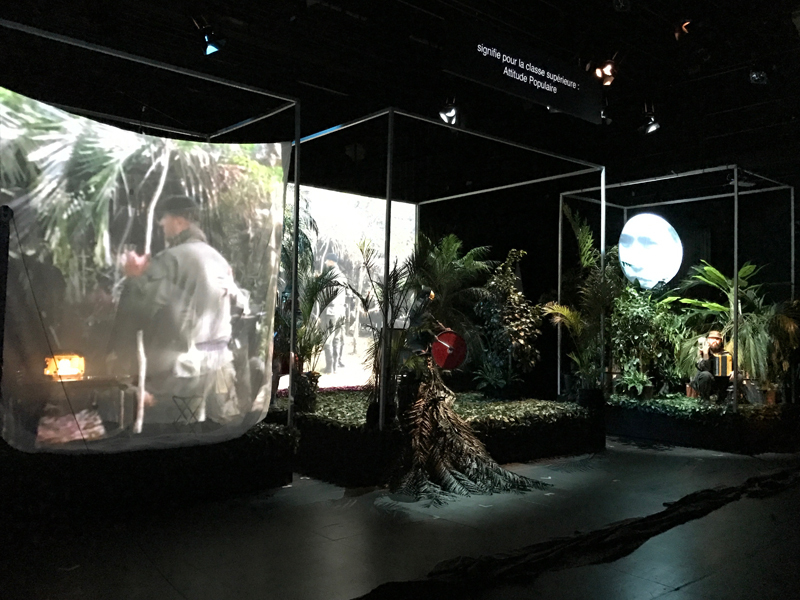 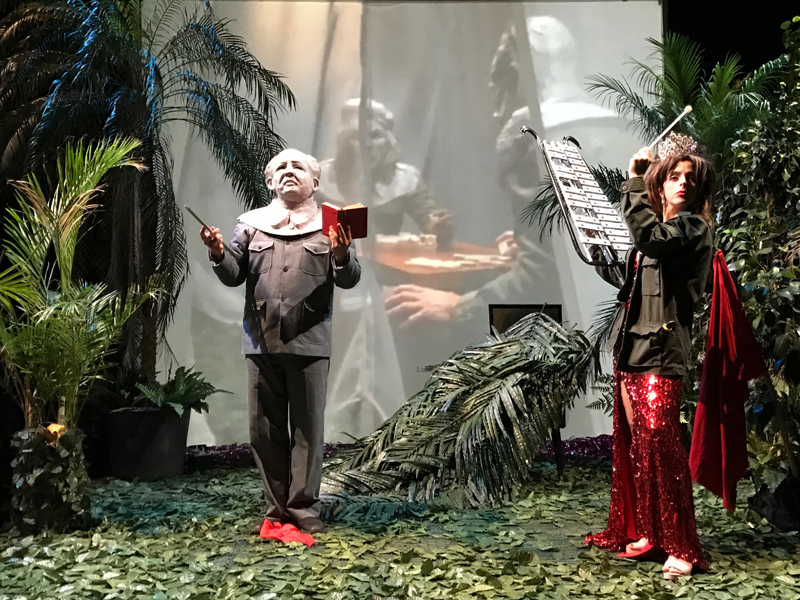 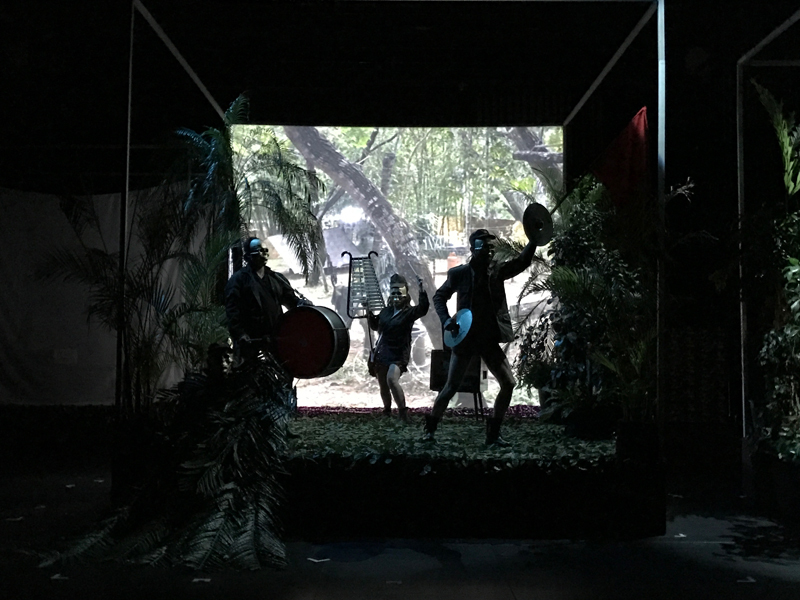 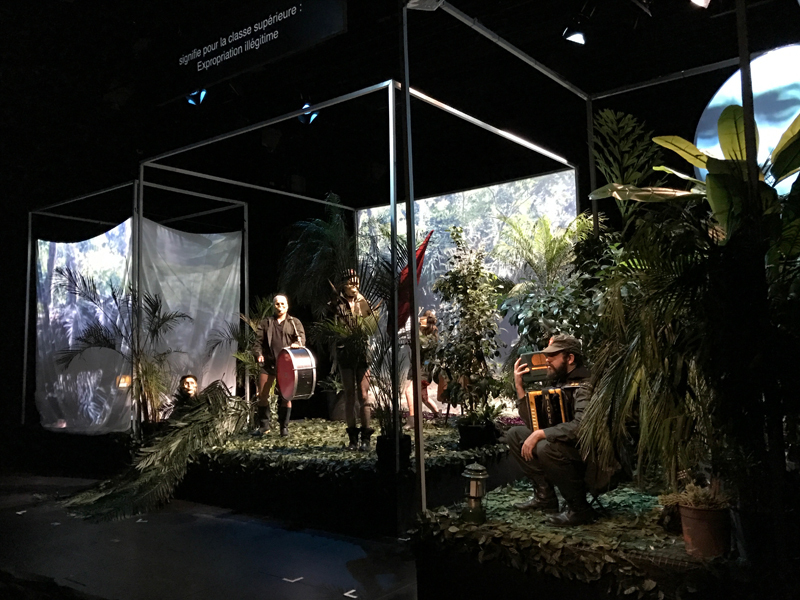 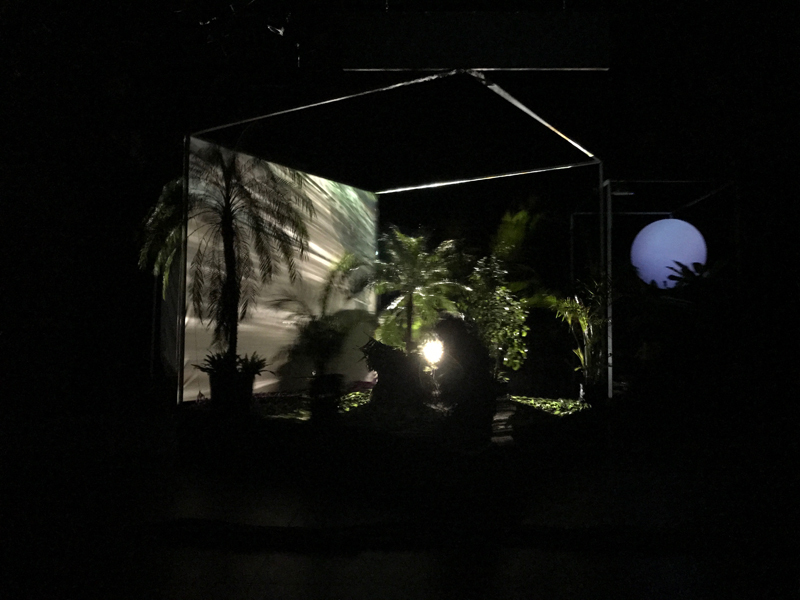 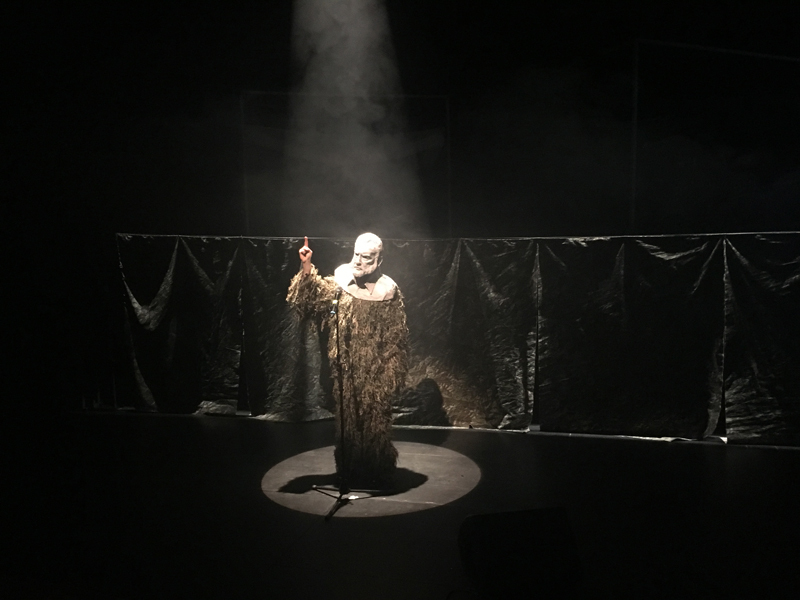 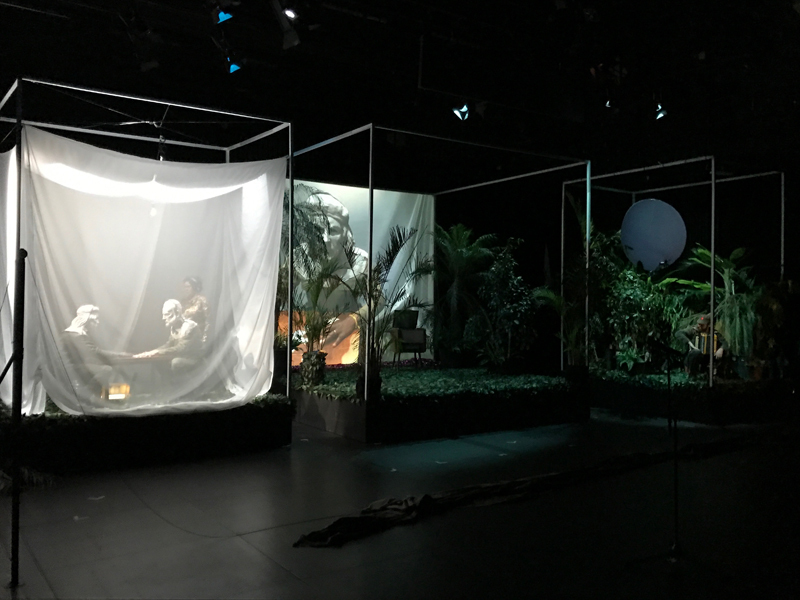 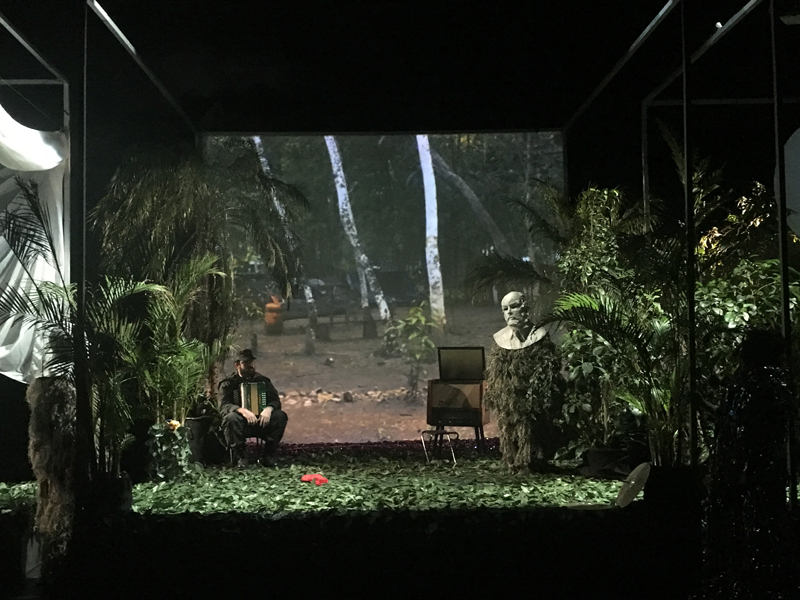 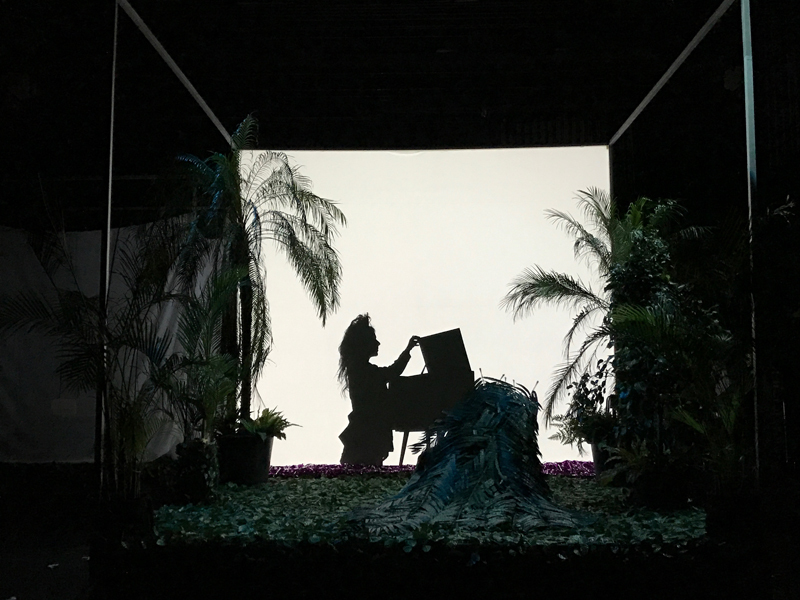 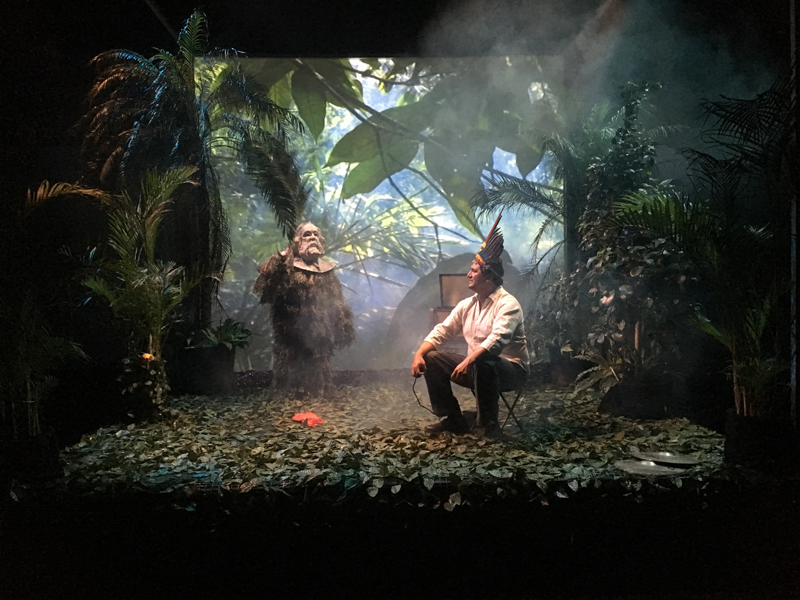 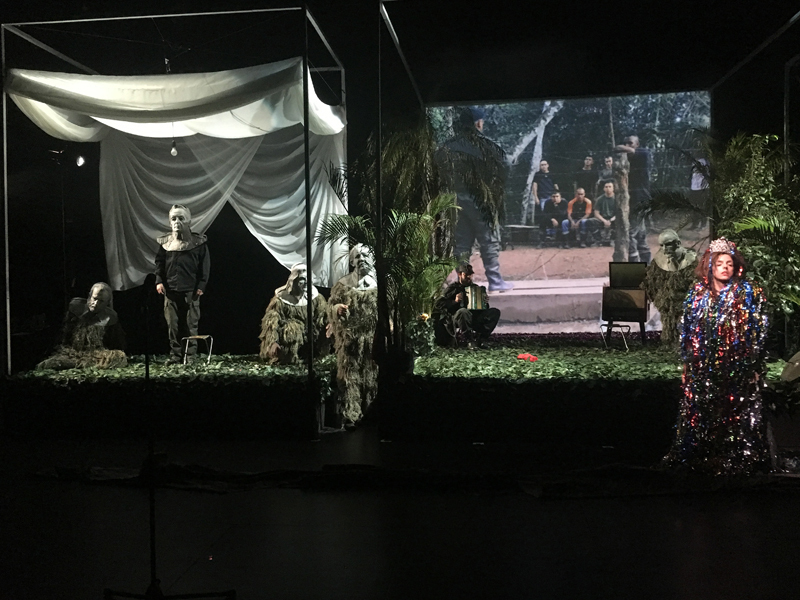 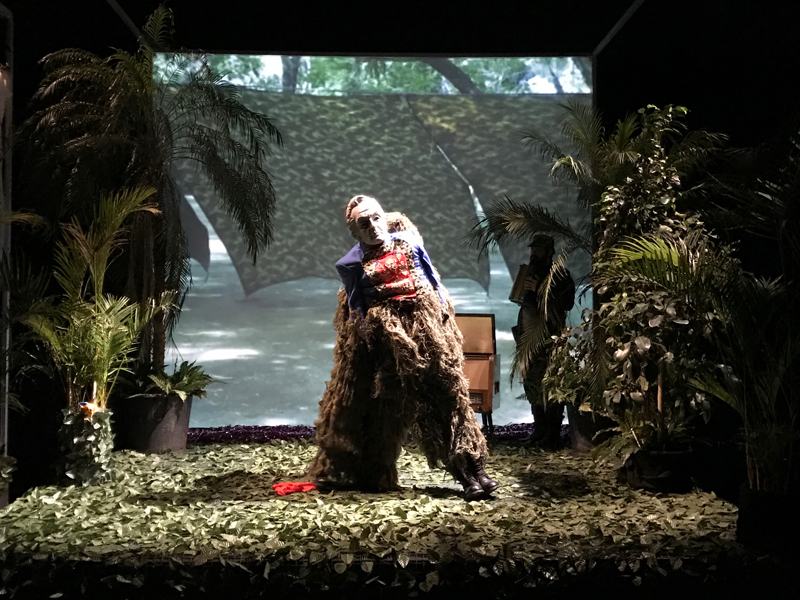 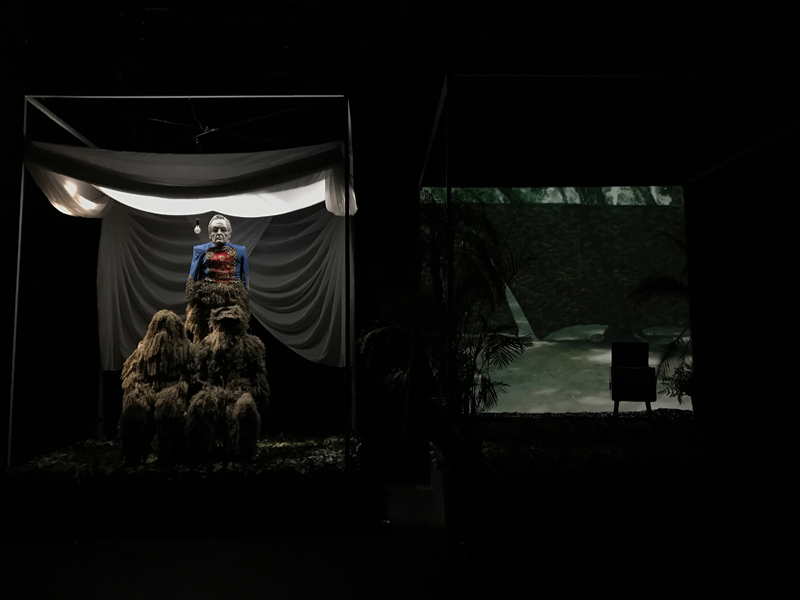 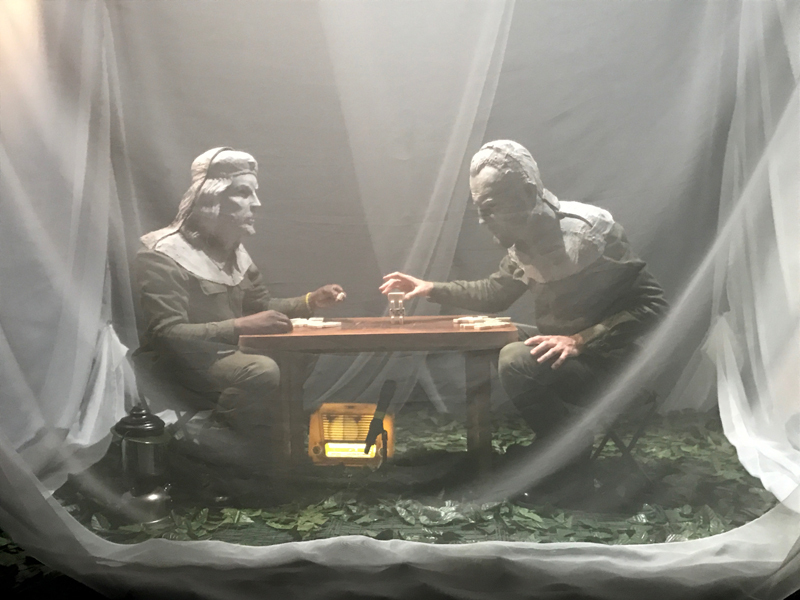 Based on the conversion by the Colombian army of an old guerrilla camp into a live museum, open to the public, Mapa Teatro stages it’s own view on this experiment. 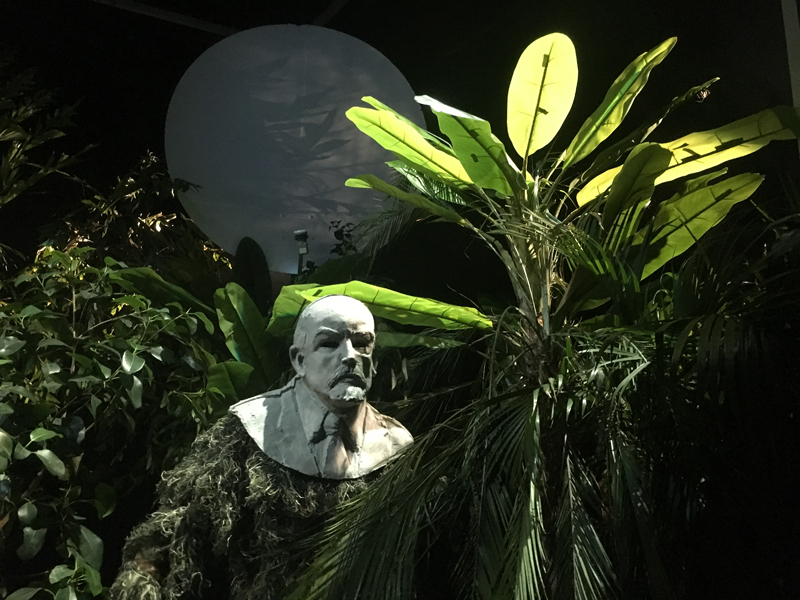 In a parcel of equatorial forest, the remains of a leaving party become unfolded: among the ruins of technology used for war, guns, seized uniforms, revolutionary songs and the traces of a great dance, the heroes of the revolution appear as statues of a "communist time capsule". 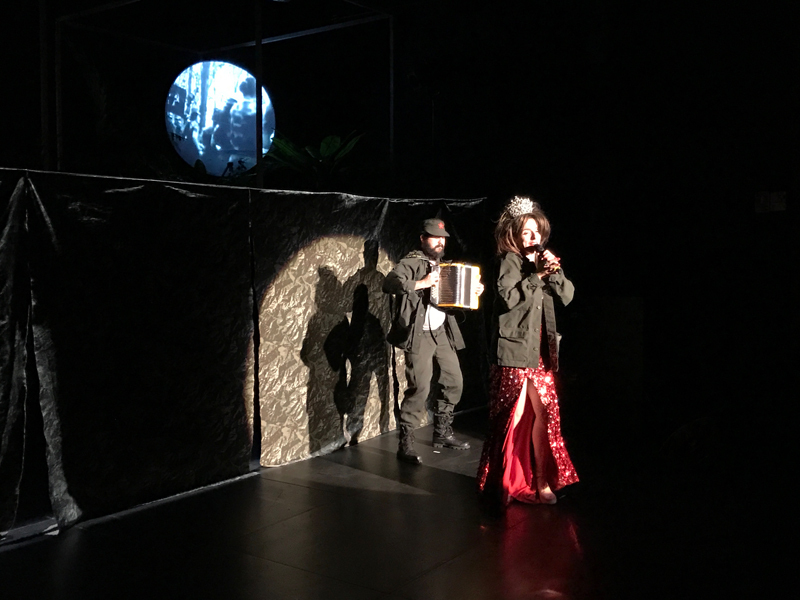 With the war now over, an Amazonian shaman claims the sacred territory on which the old guerrilla camp had been set up, and where today the Armed Forces write in the shape of a play, their own version of the story.